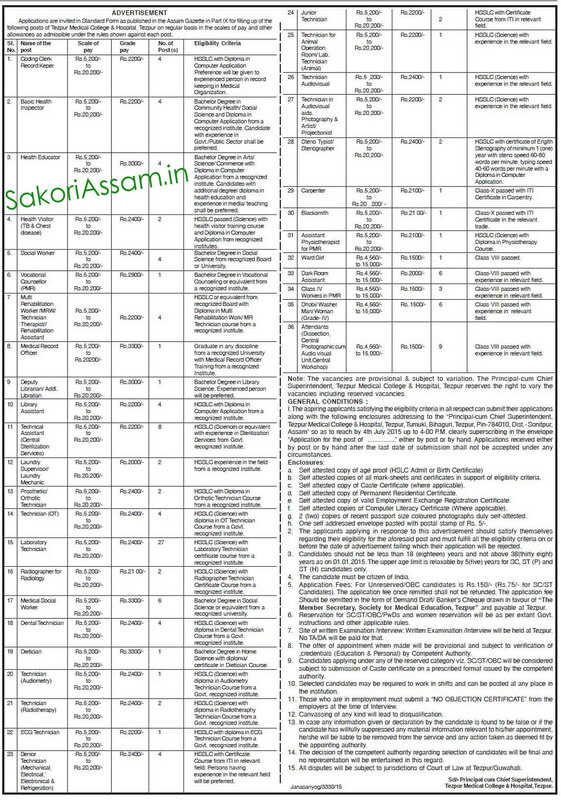 Applications are invited in Standard form as published in the Assam Gazette in Part IX for filling up of the following posts of Tezpur Medical College & Hospital, Tezpur on regular basis in the scale of and other allowances as admissible under the rules shown against each post (in official advertisement). For more details regarding Educational Qualification, Scale of Pay, General Condition etc. you can download official advertisement form below. isn't it not an insult to the post of DEPUTY LIBRARIAN with a pay of 5,200 and grade of 3000. And what is this.... /Addl. Librarian? Can there be a post of additional librarian? Wake up library associations!!!!. Misusing the post???? ?